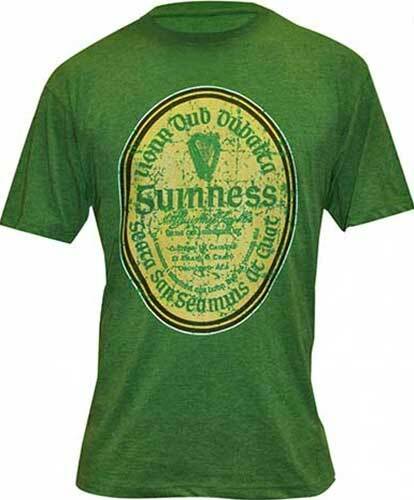 The green Guinness t-shirt is one of our most popular designs. 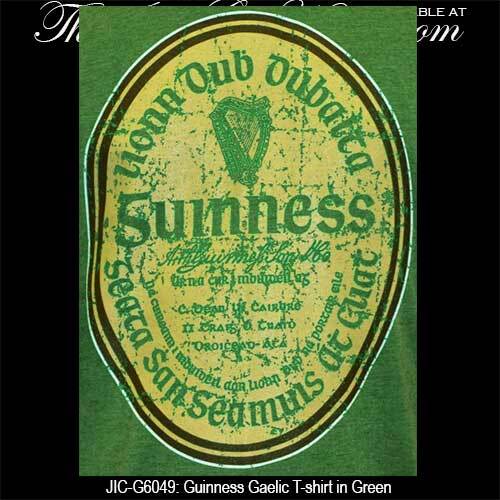 This Guinness t-shirt from, The Irish Gift House, features the Guinness label in the Irish language. This pre-shrunk, 100% brushed cotton, green Irish t-shirt has a distressed print design of the iconic label.